As the new academic year is beginning, students will be settling into student halls and houses. Bed bugs in student accommodation are on the increase and students should be aware of how to protect themselves from these insects. bed bugs are parasitic insects that feed exclusively on blood, preferably human blood. They have been parasites on humans for thousands of years, and in the 1940s were mostly eradicated in the developed world. Due to the increase in travel abroad, possible tolerance to some pesticides and the increase in second hand furniture, bed bugs are found in many shared accommodation habitats. Such as hostels, blocks of flats, hotels and holiday camps. Adult bed bugs look like a small brown disc up to 6mm in length. They are wingless with well developed legs enabling them to climb up most vertical surfaces within the home. There are 5 early stages of development or nymph stages and then a final sexually mature stage. Each of these stages must involve a blood meal to complete their growth. These early stages are very tiny making them hard to detect with the naked eye. Females with enough food can lay three to four eggs each day continually until the end of their lifespans, which is about nine months under their ideal conditions. A female can lay up to 500 eggs in this period. Inspect your room- check around the bed frame and mattress for any signs of blood spots on bed linen or headboard. Clusters or dark spots similar in appearance to an ink dot, found on the bed frame or on the bottom side of the mattress. Mattress Protectors – A mattress protector especially designed to inhibit bed bugs is always a good idea for student accommodation. Keep your room clean, and don’t leave dirty laundry lying around on the floor. Clutter on the floor can be a good nesting area for bed bugs, again keep your room clean. 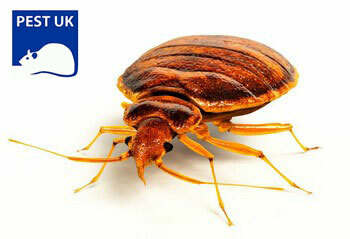 If you do find you have bed bugs we always recommend the use of a BPCA registered technician/company to treat the problem. Before a treatment is conducted we recommend that the following preparation is done before the technician arrives. Bed sheets and curtains must be removed & washed. The rooms to be treated must be vacuumed and cleaned. Drawers and wardrobes must be emptied and the clothes only reintroduced to the rooms once they have been washed or tumble dried. Treatment will fail if the room is full of clutter. Clear out any toys, books, boxes, CDs, posters etc. Be careful not to put any of these objects into other rooms as you may spread the infestation. Objects in the room that cannot be either washed, tumble dried or sprayed with the insecticide (books, shoes, cd’s, dvd’s etc) must be put in a freezer overnight. 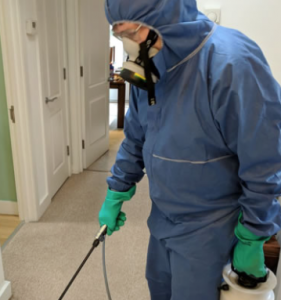 Our technicians will use a residual insecticide sprayed onto the floors, walls, ceilings and the bed frames and mattresses. For further information and advice please call us on 0330 100 2811. PESTUK have offices in Oxford, Guildford, Enfield, Shepperton, Wantage, Borehamwood, Salisbury, St Albans and Waltham Cross.